Sunnyside Farms is a working farm purchased 3 years ago by the Lynch family. 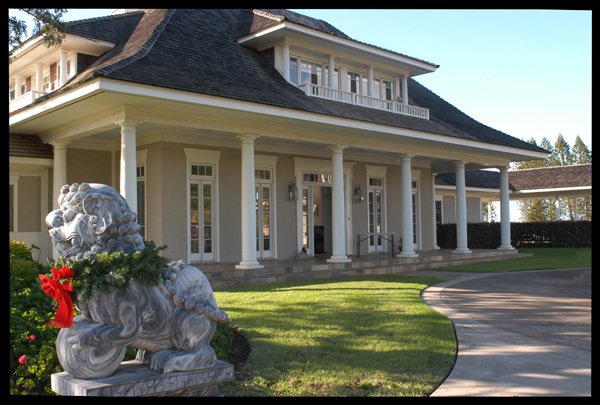 This peaceful retreat is home to the Lynch family and open for weddings and receptions of up to 200 people. Price for up to 200 guests is $2500. If you have more than 200 attending ask us for additional rates and details. Booking the property for your wedding and reception requires a 50% deposit upon confirmation of booking. The balance is due 30 days prior to your event. Also, a fully refundable security deposit of $1000 is required (promptly refunded by 10 days following the event). Our top caterer will take care of all the reception details, food, beverages, tables, chairs, linens, plates, flat wear and linens. We will put you in contact with our caterer so that you can discuss all the delicious menu options. You are welcome to visit the property prior to your event (especially useful if you are planning a scouting trip prior to your wedding). Just call our Event Coordinator at 800 368-5502 for times available and details. We are also happy to arrange your entertainment. Whether you would like a solo singer guitarist, a Hawaiian trio, full band or maybe just a DJ, we can arrange it all. Perhaps you want a luau theme complete with drums, hula dancers and a fire dancer, just let us know and we will be happy to arrange it for you. On the day of the event, the bride and groom (and the wedding party, etc.) may arrive on the property by noon. You will be able to leisurely have your hair & makeup done and slip into your dress in a comfortable private dressing room available to you just steps from your wedding site. You may want your wedding around sunset or earlier and then your cocktail reception, followed by your buffet or sit-down dinner. 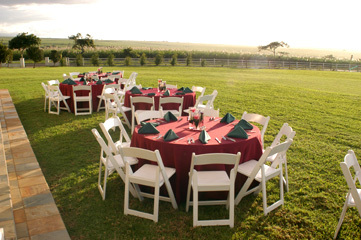 Rehearsals, rehearsal dinners, and corporate events are also available at Sunnyside Farms. Please contact our Event Coordinator to discuss pricing and details.